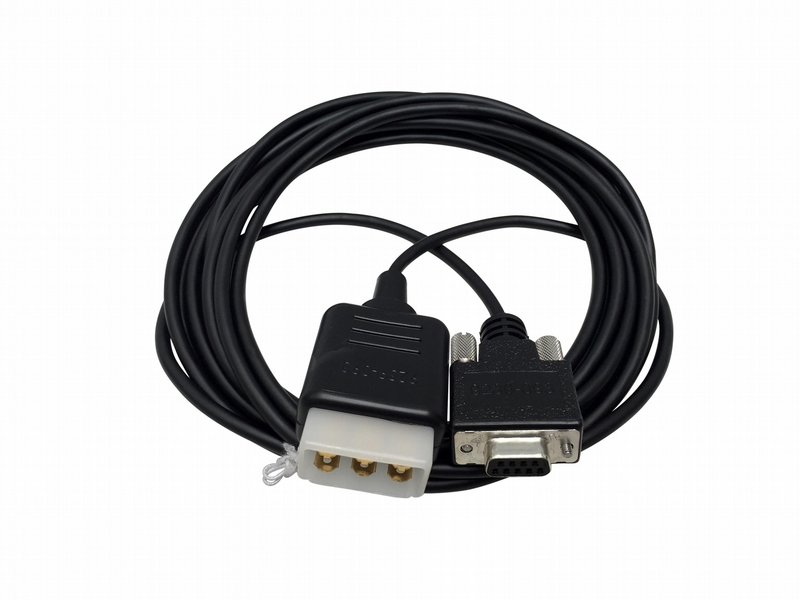 This is the W12 interface cable for John Deere. The one end has a 6-pin connector for use with D-Series or IT4 Excavators ICF connection and the other is a standard serial 9-pin connector. The cable is 15' in lenght. This is a 100% genuine John Deere cable, and not an aftermarket.